Today, we will hear from Joan Gross, Professor of Anthropology discussing Oregon State University’s Food in Culture and Social Justice program. 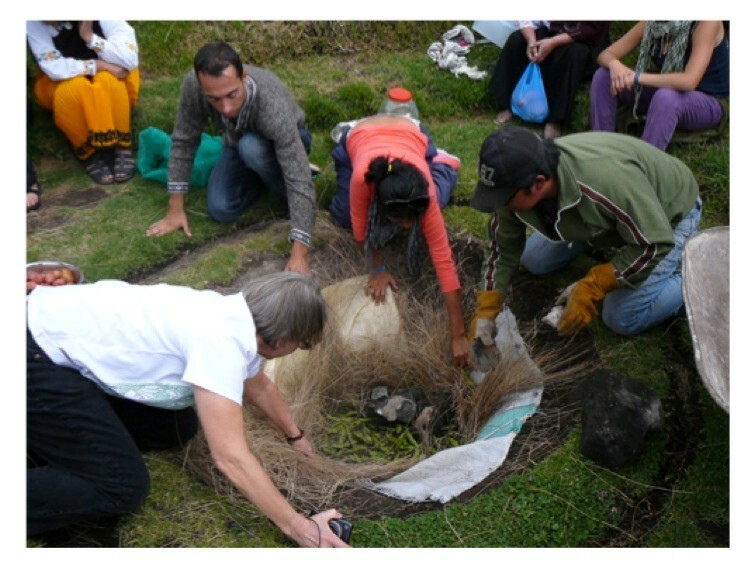 This post is part of SAFN’s Food Anthropology Program series, which features an undergraduate or graduate food anthropology program in each post. If you would like to participate, or would like to nominate a food anthropology program for the series, please email the series coordinator, M. Ruth Dike. Ruth Dike: How did the Food in Culture and Social Justice program begin? Joan Gross: After Oregon was discovered to be the hungriest state in the nation according to the USDA food security survey in 2000, Nancy Rosenberger and I were asked by a local task force to research food insecurity in rural Benton County. We conducted 66 interviews with low-income residents in two rural communities in the Willamette Valley that were known to be low on emergency food services. This effort brought us into contact with other community organizations and brought food into both of our research agendas. Several students in the Applied Anthropology program were already focusing on food and agriculture-related topics and when we did an inventory of Food Studies type classes around the university in 2011, we saw that with the addition of a few core courses, we had a program. The curricular proposal process was long and sometimes contested, but in the spring of 2012 we were approved to offer a graduate minor and an undergraduate certificate in Food in Culture and Social Justice. 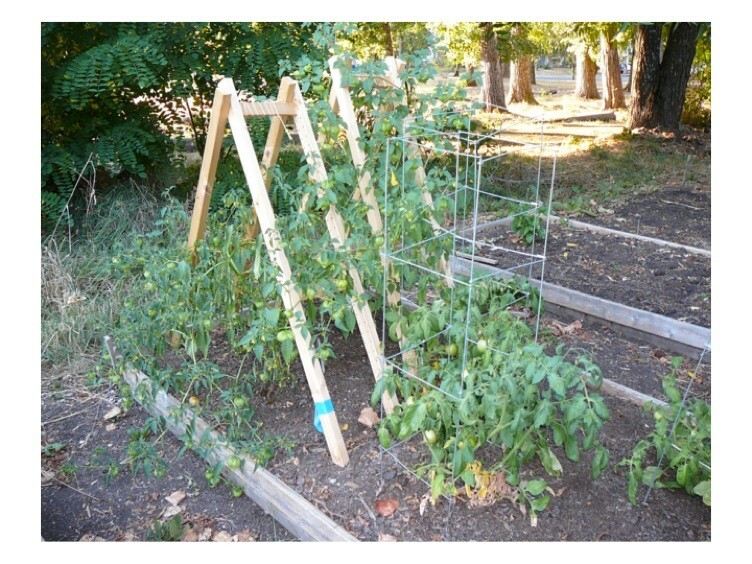 Garden from one students’ Food Project. MRD: What is the focus of your program? What are its strengths? JG: The fact that Oregon has become such a food mecca, but still experiences high rates of food insecurity offers myriad anthropological research questions and leads to a focus on social justice. What better place to explore these issues than at the state’s land grant institution? Ours is an interdisciplinary program with coursework in and outside of Liberal Arts. Credits for the undergraduate certificate can also be counted toward majors, minors, and selected general education requirements. Credits for the graduate minor (15 for MA, 18 for PhD) are selected by students in consultation with their committee, which allows for great flexibility in support of particular thesis/dissertation topics. Through the “out of the classroom” Food Projects that all students are required to complete, our students have worked with campus and community partners doing things like leading cooking classes and gardening workshops, conducting program assessments, event planning, and creating resources like maps and guides. We also run an Intercultural Learning Community on Food in Culture and Social Justice in Oregon and Ecuador every other year, which incorporates students, community members and professors from both countries. You can find out more about this program here. Applications will be accepted until Nov. 13th. Intercultural Learning Community helping with Pachamanca. JG: The program was conceived within anthropology and anthropologists teach more program courses than any other discipline. Joan Gross and Nancy Rosenberger teach Anthropology of Food; Melissa Cheyney and Kenny Maes teach Nutritional Anthropology; David McMurray teaches Agrifood Movements; Lisa Price teaches Food Justice and Research Methods in Food Studies; Sarah Cunningham teaches Food in American Culture. Garry Stephenson runs the Small Farms program in Agricultural Extension. Other anthropologists incorporate food-related issues into their classes. MRD: Tell us about the students currently enrolled in your program. JG: Presently there are 10 undergraduate and a dozen graduate students in the program. The majority of the students are in anthropology, but we also have students in public health, nutrition, food science, forestry, natural resources, fisheries and wildlife, horticulture and agriculture. Find out more about our students here. 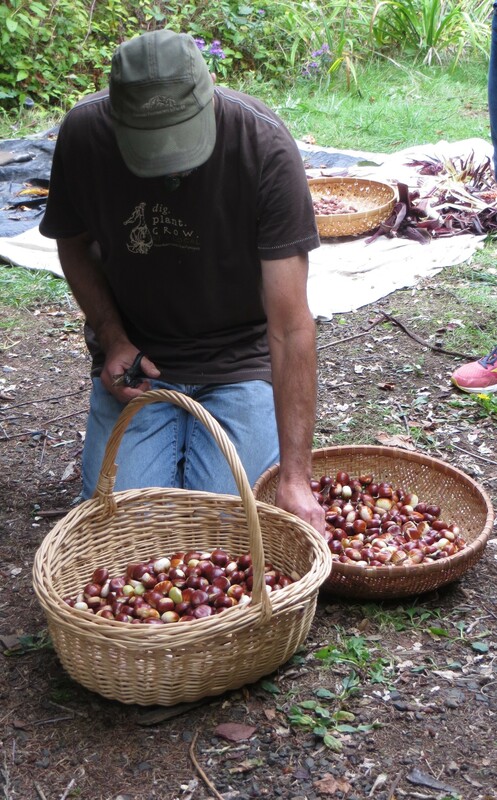 Preparing chestnuts for a Native Foods course that Dr. Joan Gross recently taught. MRD: Where is your program located and what ties do you have to the local community? JG: We are located in the heart of the Willamette Valley between the Coast Range and the Cascade Mountains, an hour’s drive to the Pacific Ocean. The Willamette Valley, with its rainy winters, gorgeous dry summers and rich soil, was the coveted destination at the end of the Oregon Trail. We have a superb farmers’ market, lots of artisanal food and drink producers, small and medium sized biodiverse, organic farms. Our students have worked in all of these places and more and our faculty serves on boards of several community organizations.